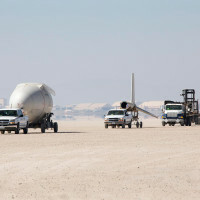 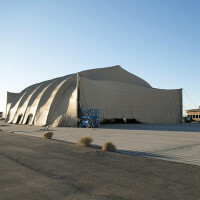 On June 1, 2012, Boeing's Phantom Eye prototype autonomous unmanned aircraft system made its first flight at Edwards Air Force Base, Calif., as part of a NASA Armstrong (formerly Dryden) Flight Research Center project. 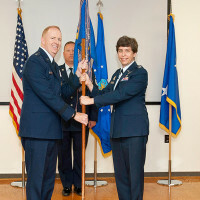 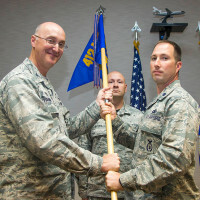 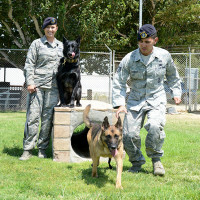 A change of command ceremony was held at the “Rocket Lab” at Edwards Air Force Base, Calif., Aug. 11, 2016, where Col. Patrick Davis (far right) relinquished command to Clark. 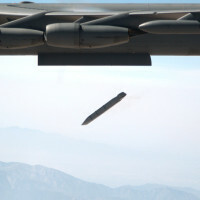 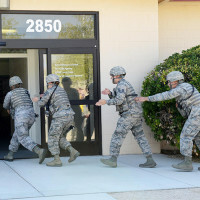 The personnel of Edwards Air Force Base, Calif., accomplished another first recently by executing a clean separation of three Joint Attack Surface Standoff Missiles, or JASSMs, from the internal weapons bay of a B-52 Stratofortress at Edwards. 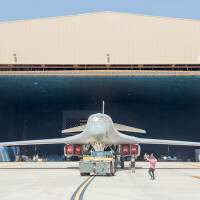 The B-1B Lancer has come home to test in the Benefield Anechoic Facility at Edwards Air Force Base, Calif.
Two teams from the 412th Security Forces Squadron, Edwards Air Force Base, Calif., were recently detailed to the U.S. Secret Service to ensure the security at both the Democratic and Republican National Conventions held in Philadelphia and Cleveland, respectively. 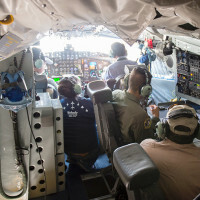 By Jan. 1, 2017, the European Union is requiring all existing aircraft to have Traffic Collision Avoidance System version 7.1 installed on aircraft entering its airspace.